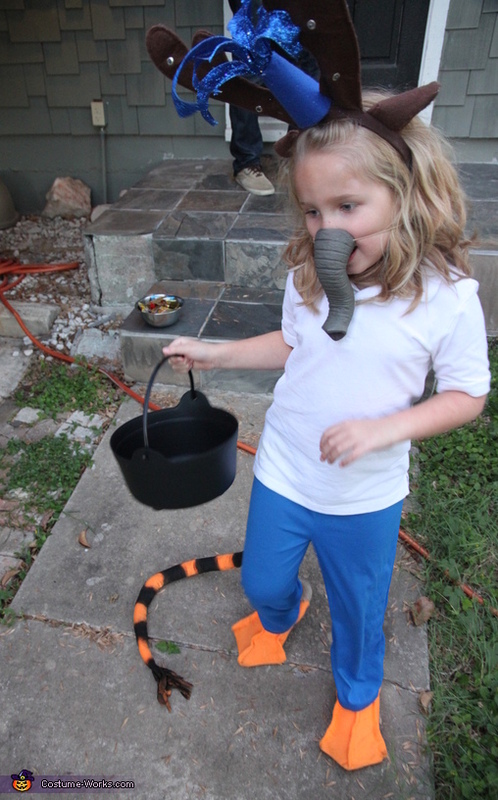 This is my 6 year old daughter we got the idea from a book by Dr.seuss called "I wish I had duck feet" I made the tiger tail, duck feet, and the whale spout. I bought the clothes, antlers, and elephant trunk. The book is about a kid who wishes he had all of these parts and in the end decides he just wants to be himself. My daughter loves this book and really wanted to be a which-what-who for Halloween so I made it happen ! !